It’s not often that the opportunity affords itself to write a review of a story that is as close to perfect as Doctor Who can get. So good, in fact, that it’s after this serial that my blog is named. The Mind Robber is the epitome of all that is innovative, experimental and surreal about Doctor Who when it’s done correctly. With the addition of a last minute opening episode and Frazer Hines’ sidelining by chicken pox in episode two, The Mind Robber could easily have become an utter shambles. It’s to the credit of the writer Peter Ling, Script Editor Derrick Sherwin and Director David Maloney that it didn’t. Myth has it that Peter Ling’s inspiration for The Mind Robber was the inability of soap opera audiences to distinguish fact from fiction. Ling, who had never previously written for a science fiction programme, was well known as a writer for the British soap operas Compact (1962-1965) and Crossroads (1964 onwards), amongst others. It was on Crossroads that incoming Doctor Who story editor, Derrick Sherwin, and assistant story editor, Terrance Dicks, had also been engaged. This soap, which centred on a motel, was filmed in Birmingham and it was on a train trip to that fair city that Ling, Sherwin and Dicks first discussed an idea that would eventually evolve into The Mind Robber script. The inability of some viewers to comprehend that television dramas are fictional and not fact is not uncommon. Comedian, author and actor Toby Hadoke takes great delight in ridiculing such people in his stand-up comedy show, Moths Ate My Doctor Who Scarf. Hadoke, who starred as a Vicar in the soap Coronation Street in December 2000, was gobsmacked to actually receive letters from viewers asking if he might officiate at weddings. “And these people can vote” he quipped! 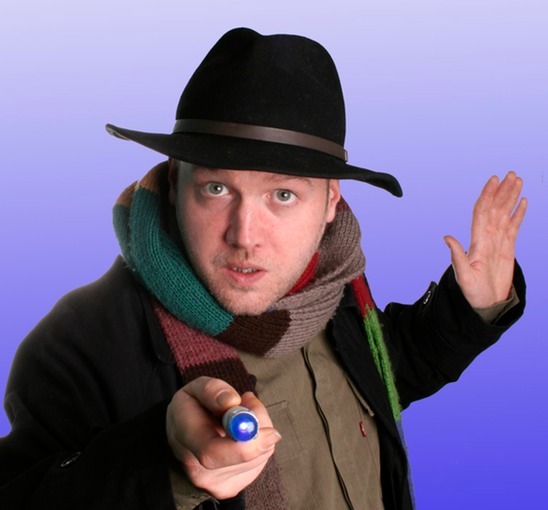 Toby Hadoke – Stand-up comedian, actor and author of Moths Ate My Doctor Who Scarf. The fiction of children’s stories and classic mythology permeate The Mind Robber. Lemuel Gulliver, wind-up tin toy soldiers, Rapunzel, the Medusa, a Unicorn, Sir Lancelot and Blackbeard are amongst the characters which confront the Doctor and his crew. 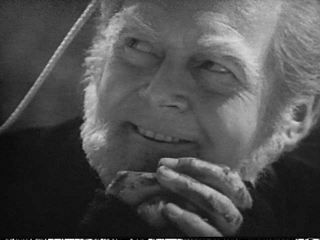 Gulliver, who is originally named only as “A Stranger” is brilliantly portrayed by Bernard Horsfall, who only passed away in January 2013. 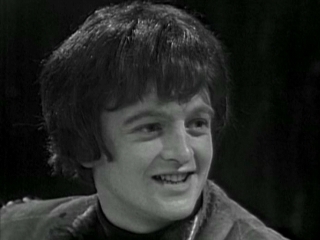 Horsfall went on to appear in another three Doctor Who serials, all of which were directed by David Maloney – The War Games (1969), The Planet of the Daleks (1973) and The Deadly Assassin (1976). Tall and imposing, yet always polite and obliging, the fictional character from Gulliver’s Travels spoke only words and phrases taken directly from Jonathon Swift’s 1726 novel. 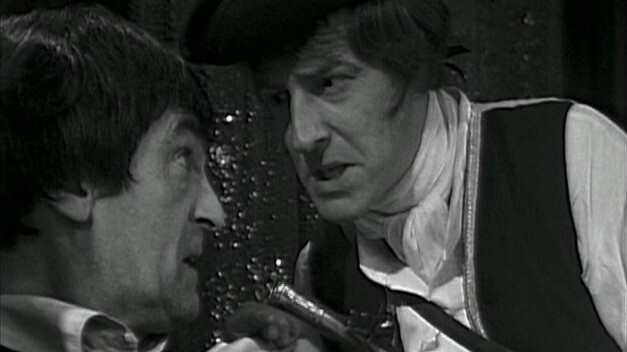 The juxtaposition of Gulliver’s archaic but lyrical language with the Doctor and his companion’s modern English was superb. It was only in the final episode that Ling permitted Gulliver to speak lines other than those from the novel, however his language form remained Middle English. The seamless transition of Jamie from Frazer Hines to Hamish Wilson was an imaginatively simple idea that meshed themes common to both The Mind Robber and its preceding serial, The Dominators. When Hines succumbed to chicken pox early in the week of episode two’s shooting an immediate solution was required. 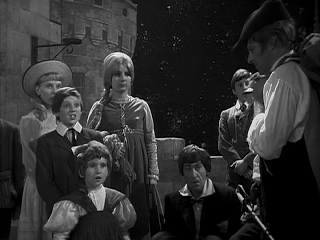 During the course of the 60s each episode of Doctor Who was filmed at the end of a week’s rehearsal. Save for sparse location shoots, material was not pre-recorded. Recording was almost live, with only an hour and a half allocated for each 25 minute episode. Given that only three video cuts were permitted for each episode, this necessitated the filming of scenes in their correct order and performances in a play-like fashion. Filming scenes from different episodes on the one day was unheard of. Moreover, episodes were often filmed only two weeks prior to airing. This meant that when episode one of a six part serial was broadcast the production of the final episode could still be a month away. As a consequence of these production limitations the absence of a cast member presented extraordinary difficulties. The luxury of filming out of order and six months in advance of screenings did not exist, so there was no means by which the ill actor could film their scenes at a later time. Hence the extraordinary decision to retain the character of Jamie in episode two but have him played by an altogether different actor. 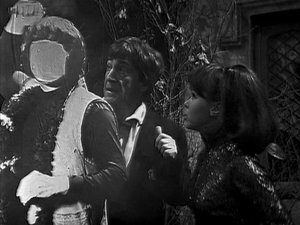 The fictional nature of the story, in which the Doctor and his companions were constantly confronted by challenges, afforded the opportunity for Jamie’s identity change to become part of a game. Having been turned into a life size cardboard cut-out, Jamie’s face was removed and he could not be animated again until the Doctor put the puzzle pieces of his face correctly together. On a board where three or four photographs of eyes, noses and mouths. In a flustered state the Doctor chose the wrong pieces and Jamie was reanimated with a different face. When Hines returned in episode three Jamie was again transformed into a cut-out. The Doctor was successfully able to complete Jamie’s face puzzle, this time with the assistance of the very attentive Zoe. In the interim Wilson had superbly perfected Jamie’s mannerisms. The Doctor’s initial inability to correctly choose Jamie’s eyes, nose and mouth was reminiscent of his feigned stupidity in The Dominators. 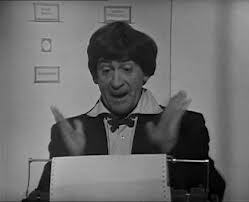 In an attempt to appear an imbecile in the previous serial the Doctor had intentionally failed a block test similar to one that a normal three year old would complete with ease. He was unable to match the wooden blocks with their correct holes and suffered electric shocks to his arms as a consequence. 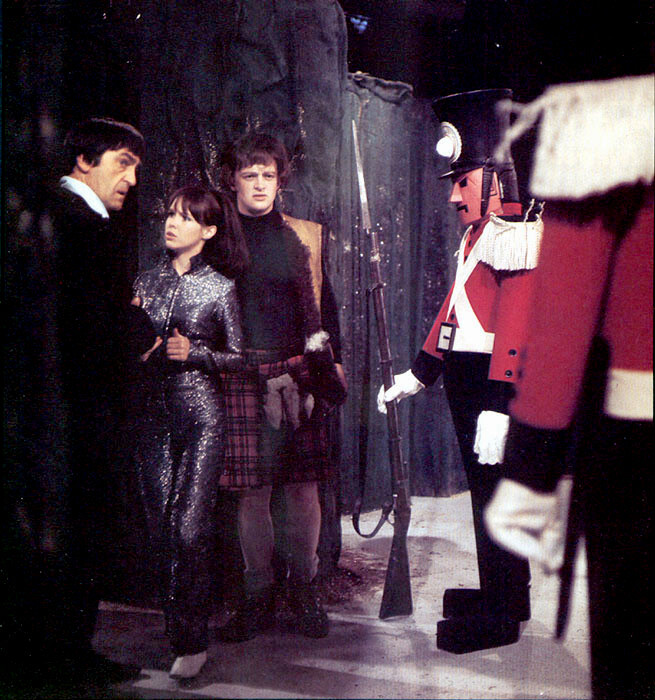 No longer considered a threat, the Doctor and Jamie were subsequently released by the Dominators. The Mind Robber contains the only episode of Doctor Who not to feature a writer’s credit. Originally written as a four part serial by Peter Ling, the story was expanded to five episodes after the production fiasco that was The Dominators. Having no budget for guest cast or additional props the production crew were faced with a very similar predicament to that in the season one story The Edge of Destruction. Having access only to the three main cast and the TARDIS console, Script Editor Derrick Sherwin wrote the opening episode to accommodate these restrictions. Akin to The Edge of Destruction, these constraints resulted in a minimalist masterpiece. Many of the most memorable scenes in The Mind Robber were Wendy Padbury’s. The cliff-hanger of episode one featured a shiny cat-suited Zoe hanging onto the TARDIS console as it plummeted through space. That much of the scene focussed on Zoe’s bum must have been a cause for great delight amongst male viewers. Zoe also enacted a wondrous pantomime fall and proved herself proficient in martial arts when she easily defeated the cartoon book character, the Karkus, in a fight. The Mind Robber was almost certainly the naming inspiration for the New Series Doctor Who character Captain Jack Harkness. The Master of Fiction had written 250,000 words of fiction as editor of the boys’ own magazine, The Ensign. 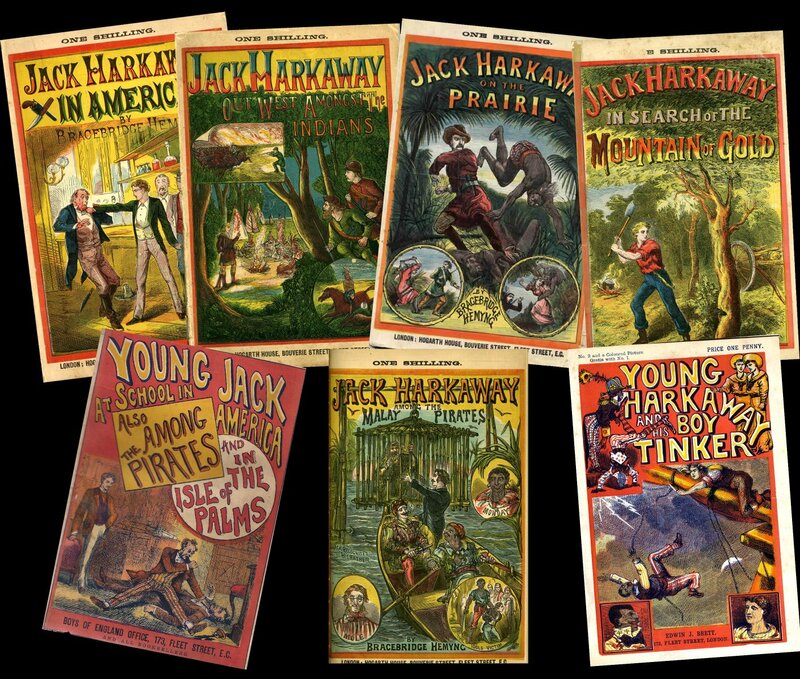 Captain Jack Harkaway was one of the Master’s characters which like all others in the story, with the exception of the Karkus, was a fictional character in the real (non-Doctor Who) world. 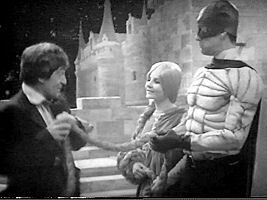 The Master of The Mind Robber, however, is a completely different character to the renegade Time Lord that the Third Doctor first encounters in Season Eight. I could inevitably extol the virtues of The Mind Robber for several thousand more words however I’ll bother you not with more reading. Instead I earnestly implore you to legally acquire a copy of the story and take in its pleasures yourself. Watch Jamie and the Doctor climb Rapunzel’s hair, the snakes animating in the Medusa’s hair, and the Unicorn charging at our heroes. I can assure you that you won’t be disappointed. Yay … I have been anxiously waiting for your write up for Mind Robber (and would have enjoyed another thousand words). 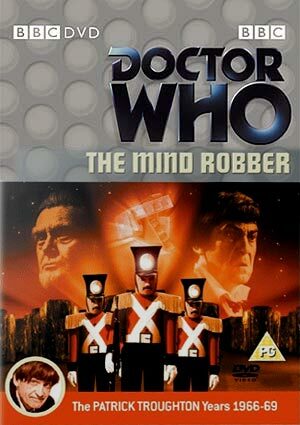 We are at show#154 in our Doctor Who Watching marathon but after reading your notes I just may have to pull out #45 Mind Robber and watch it again! We too gave the show an A+ grade as a top of the line, best of the best show (though if you look at our marathon website, you will see that we have already given 62 shows an A+ grade (yes, we tend to like most shows). You can use this link to view the A+ shows on our site with a photo, summary and links: http://alldoctorwho.wordpress.com/category/a-shows/ — I particularly liked how you politely referred to Zoe’s “outfit” … and she did seem quite light footed and agile, didn’t she? Wonder if sh had ballet training? Thanks for your comment. I’m a bit like you and tend to like almost all of Doctor Who. I’ll certainly check out your list again. Since you read my review I’ve added photos including several of Zoe. I tried to my hardest to be as polite as possible! It wouldn’t surprise me if Wendy Padbury had done some sort of dance training. I’m wondering if Zoe’s cat-suit was really purple or the greyish colour that it appears in this blog’s wall paper. I suspect that the three colour photos that I inserted of Zoe have been colourized by a keen fan, although I can’t say for certain. I can’t wait until I get to this one! Only 4 more to go. Great review! Really great, detailed, interesting write-up of an unusual, innovative serial. You did an excellent job explaining the flying-by-the-seat-of-their-pants nature of filming Doctor Who in the 1960s, and how Sherwin, Dicks & Ling had to find very creative ways to work around these last minute problems. 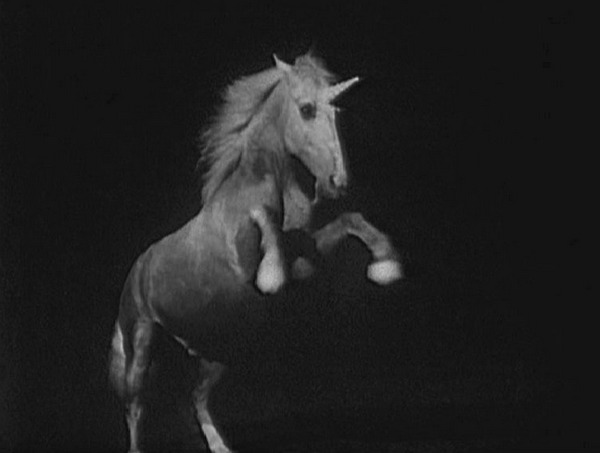 As you say, The Mind Robber could have turned out to be a huge train wreck, but instead it turned out to be one of the most memorable, unique entries in the series’ history. I’ve watched it on numerous occasions, first on VHS and then DVD. P.S. On a more superficial level, I have to say that Wendy Padbury looks great in that sparkly catsuit!